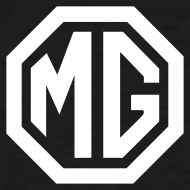 Trick Out Car Club – Team MG is a very small and select group of MG Car owners that are dedicated to the preservation of all things MG! If you have a MG Car or just love learning about these classics sport cars, TOCC – Team MG is the place for you. If it has to do with MGB's - you can discover it here. Team MGB is exclusive to the MGB brand! Do you enjoy hanging out with friendly, auto-enthusiasts? Well, so do we! And we also enjoy holding photo shoots, attending car shows, going to the track, discussing life and simply exploring all things automotive related. Look around and give Tricked Out Car Club a good look over. You might like we what you see. The MGB is a sport car launched by MG Cars in May 1962. MGB is the successor of the MGA which it was in production 1962 – 1980. This classic car assembling was done in Abingdon, England. Please enjoy the MG related links on this page. We are still looking for more credible MG related sites, so send them to us if you find some. The links below are not clubs but are more for research and learning. If you are looking for clubs, please visit our page dedicated to car clubs. We will add more to this line- up very soon, so stop back by.